The next step in the Army’s plan to build a next-generation tactical network is to focus on cloud computing in the tactical environment. After a major review of its network in 2017, the Army decided to halt programs that would not address operational requirements, fix existing programs that were critical to operational shortfalls and pivot to a new acquisition methodology that allows for the rapid insertion of new technology. Now, the Army is creating a common operating environment that enables soldiers from the command post to the vehicle to dismounted patrol to access the same information, a move leaders say will improve mission command. To do that, the Army will rely on the cloud and on Aug. 1, service leaders held a tactical cloud computing day for members of industry in Raleigh, NC. “What we’re trying to solve is distributed mission command from home station into the tactical edge … to improve rapid decision making in a very lethal, high tempo fight,” Maj. Gen. Peter Gallagher, the Army’s network cross functional team lead, told C4ISRNET during an interview. The overarching common operating environment will create a common look and feel regardless of where soldiers or commanders are based. Currently, the Army uses several disparate mission command systems that support their own goals and are run on their own proprietary systems. The Army’s goal is to shrink these systems down and instead run those systems as applications. Perhaps the most apt analogy is how the same information can be gleaned from an application if viewed from a mobile phone, tablet or computer. While the interface might vary slightly, the information presented is the same. In a faster-paced future operating environment, the Army must move away from large forward-operating bases and tactical operations centers. 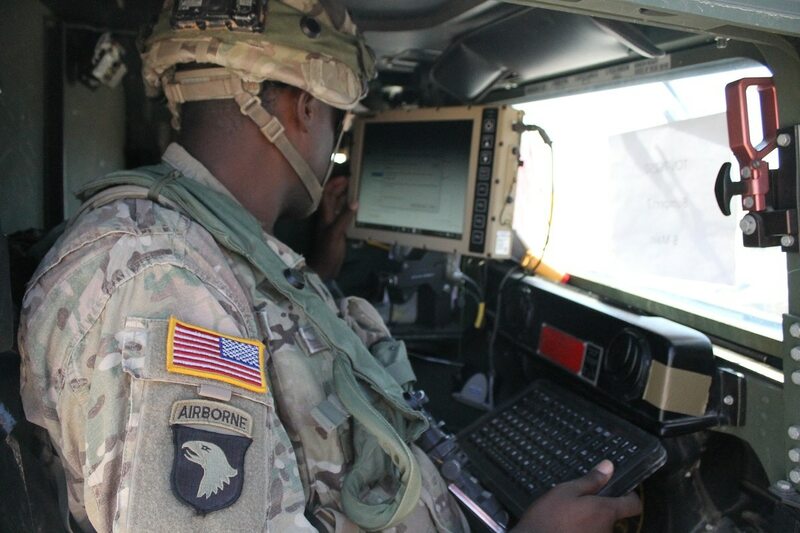 In an expeditionary environment, where units can’t be weighed down with hundreds of pounds of server gear and must connect to satellite links that are bandwidth constrained, the Army is turning to industry and cloud solutions. Army officials described the industry day as market research, noting that contracts might not come out of it. Atypical to most conferences and forums, members of industry engaged in a constant back and forth with Army officials and presenters as they laid out what it was they needed. Maj. Gen. David Bassett, program executive officer for command, control and communications-tactical, told the audience that while the cloud won’t be a cure-all, it would be short-sighted not to leverage the technology. “We ought to be thinking about where can it fit, what can it enable and what kind of a transport environment has to be in place to get the most out of it,” he said. 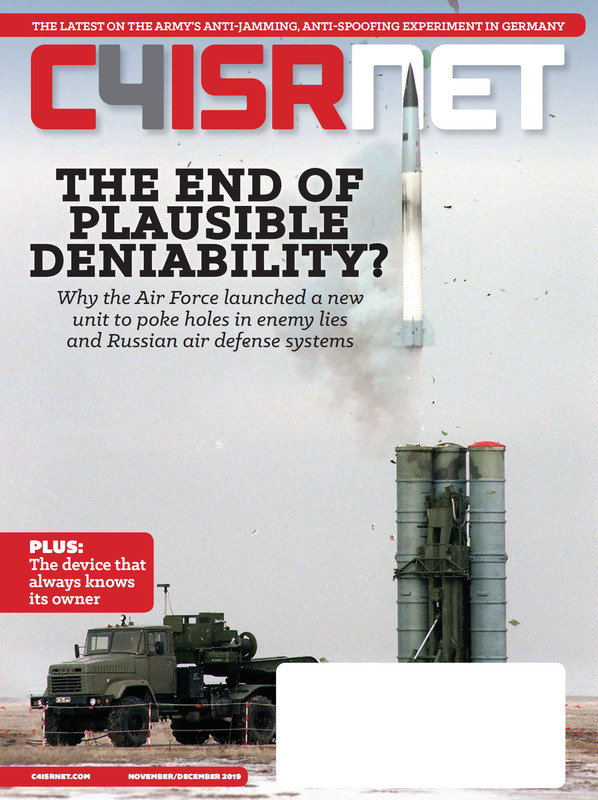 Bassett told C4ISRNET that while there’s optimism around cloud technology the question is how can the Army apply that to the unique network environment for tactical users. The Army has said it wants a deployable cloud for infrastructure to enable distributed mission command. Army leaders have listed a variety of attributes they want, including a modernized infrastructure to consolidate data repositories, common software and hardware platforms, enterprise to enable tactical public key infrastructure, security information and endpoint security, reduction of bandwidth burden at lower echelons and moving toward common tactical software platforms and services in the command post at the tactical edge. The Army is also looking to move toward common standards with a common software backbone than vendors can build on top of. In the past, vendors would sell, own and control the entire stack. Now, the Army is saying everything below a certain level in the architecture is already defined. Vendors will build on top of that architecture so the application program interfaces stay relatively constant. “We’re giving you this framework … we don’t want you to be completely limited by it. We want you to leverage it and embrace it. We want you to extend where necessary and we want you to tell us where we can replace pieces of what we adopted with something better,” Bassett said. Officials also said that, unlike in years past, there might not be a clearly defined end date with multi-year contracts. Rather, the Army, through the cross functional teams, will continue to experiment and build prototypes of new technologies with units to get solider feedback. Bassett explained that the command post computing environment product is a better product due to the new processes in place with the cross functional team and with extensive feedback. As technology continues to advance, the Army wants to be able to outfit the units that need the newest systems with the newest technology. Gallagher said he doesn’t know if the Army will ever be done and that the path ahead involves feedback and bringing new capabilities based on evolving technology and emerging threats. “If we tried to field the one big thing and get that out to every unit in the Army, it won’t be what they need to face the threats of tomorrow,” he said.